With increasing interest in renewable energy from both businesses and consumers, the industry is faced with design challenges around critical energy storage systems (ESS.) Without storage, energy cannot be distributed on demand. The engineering design of today’s solutions must evolve to produce products that are simpler, more efficient, and smaller in size. The greater durability, reliability, and decrease in watts lost in conversion presents an opportunity to revolutionize this industry – and even have a transformative impact on the world. Gallium Nitride (GaN) power transistors will play a central role in this revolution by enabling the creation of smaller, lighter, lower cost, and more efficient power systems that are free from the limitations imposed by yesterday’s silicon-based solutions. This talk will explore recent research to design interconnected micro energy grids with gas-power and renewable energy technologies for sustained energy and transportation infrastructures. Integration of gas and renewable energy technologies will be presented in view of regional energy demands and target reduction in cost and GHG emissions. Different design configuration and control scenarios for regional deployment will be evaluated using component and system KPIs. Operational planning model will be presented of the electricity and natural gas networks with DGs/CHPs based on natural gas. The models will be evaluated in view of investment and operational costs for both electricity and natural gas as independent networks. Benefits will be discussed for utilities to own both systems as customers can benefit via electricity or/and natural gas tariffs. Accurate operational planning model will be discussed, taking into consideration the interdependency between gas and electricity networks and demands such as concurrent electricity and gas price signals. 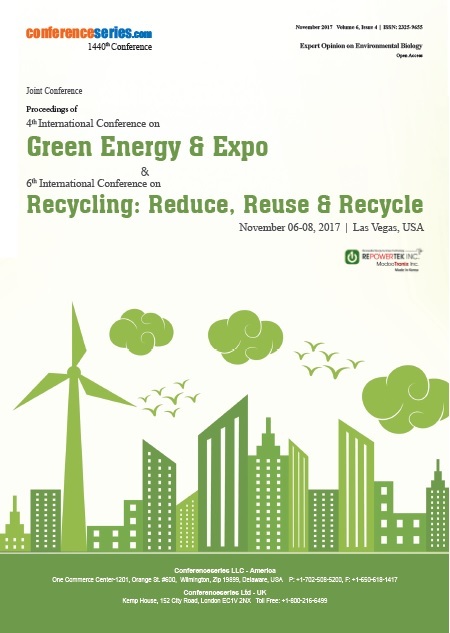 Policies and regulations will be discussed, including governmental incentives for purchasing power from renewable resources. Technical and operational constraints such as maximum power transfer, thermal limits will be elaborated in view of the proposed interconnected micro energy grids. Optimization techniques will be presented to achieve high performance energy supply in view of local demand and energy requirements. 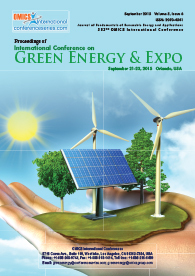 Advances in design and control methods will be illustrated to achieve high performance interconnected micro energy grids with integrated flywheel-based energy storage platforms and their applications on energy and transportation infrastructures. 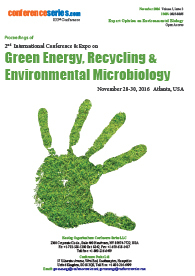 Methods and technologies of waste-to-energy systems will be discussed to provide clean energy and hybrid fuel supply to meet regional demands. Safety design and resilience analysis will be discussed to ensure sustained energy supply to meet target energy demand. Plasmonic structures have attracted intensive attention in recent years due to their novel properties and high potential for a wide range of applications. One of them is the exceptional ability to confine light in extremely small volume which has proved useful in improving the performances of solar cells and photodetectors. In this talk, I will share with you our recent work on split ring resonators (SRRs) array and surface plasmon enhanced energy conversion. With the process we developed, we have demonstrated two- and three- dimensional SRR arrays with controllable magnetic and electrical resonant wavelength from long wave infrared to near ultraviolet, and investigated their application for biochemical sensing. By integrating a 2-dimensional plasmonc structure with semiconductor heterojunction photodiode, we have realized strong enhancement in mid-wave infrared absorption and made them workable at room temperature. A room temperature detectivity of 8 x 109 Jones has been demonstrated. We also invented two-terminal millimetre wave photodetectors based on fast transportation of SPP induced non-equilibrium electrons. A noise equivalent power of 1.5×10-13 W Hz-1/2 has been achieved. Dehua Zheng has completed his B.Sc. and M.Sc. degrees in Electrical Engineering from North China Electric Power University, Baoding, China in 1982 and 1987, respectively. He has also graduated another M.Sc. degree in Electrical Engineering from the University of Manitoba, Canada in 1995. His profesional experience includes the Manitoba Hydropower Company, University of Manitoba, China National Wind Power Engineering Technology Research center, Goldwind Science and Technology, and many others. Dehua Zheng is an IEEE Senior Member, registered senior electrical engineer of North America, deputy director of China National Wind Power Engineering Technology Research Center and IEC project leader for IEC/TS 62898-3-1: Microgrids – Technical Requirements - Protection. Currently, as the Chief Scientist and Engineer of Goldwind Science & Technology, he is leading the Microgrid Platform R&D Institute and devotes himself to research and development of Chinese and world microgrid technology. Microgrid is a group of interconnected loads and distributed energy resources (DERs) with defined electrical boundaries forming a local electric power system at distribution voltage levels, that acts as a single controllable entity and is able to operate in either grid-connected or island mode. Deployment of DERs causes a microgrid or conventional distribution feeder to tackle several challenges, such as: bi-directional flow of power, changes in fault current magnitude, and continuous changes in operational configuration due to plug-and-play of DERs, fluctuation of load demands and intermittency of renewable generations. Hence, the traditional protection strategies will no longer be sufficient to protect microgrids against network faults, transient and dynamic disturbance conditions. This research study proposes a fast and reliable communication-assisted protection strategy for insuring safe operation of microgrids with high penetration of renewable energy. The strategy is implementable by commercially accessible microprocessor based digital relays. It also provides a backup protection to handle communication failures and malfunction of protection devices. The study also presents the detail structure of the digital relay which enables the proposed strategy. A number of improvements are proposed to find an alternative way for conventional overcurrent relays to reliably detect small-magnitude fault currents and high impedance faults, commonly encountered in converter-interfaced renewable microgrids. Simple and economical bus protection method is also proposed. Several simulations and related product field tests are conducted on a comprehensive model of realistic operational industrial microgrids (such as Goldwind Smart Microgrid System, in Beijing, China, and many other microgrids in China) using PSCAD/EMTDC software environment and practical product field test setups, for different case studies and fault scenarios, to verify the effectiveness of the proposed protection strategy and its fault, transient and dynamic disturbances digital protection relays.